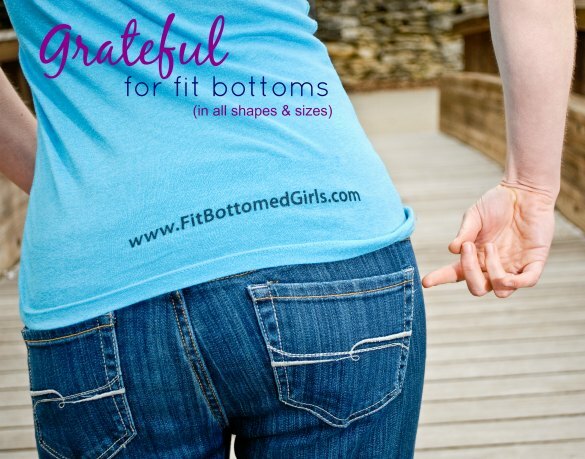 We're Grateful for Fit Bottoms in All Shapes and Sizes! We’re Grateful for Fit Bottoms in All Shapes and Sizes! Happy Thanksgiving! As we all get our turkey trot, cooking, celebrating, toasting and noshing on today, we wanted to hit ya up with a little bit of gratitude on this day of thanks. No matter the size, shape or strength of your booty, if you’re moving it, you’re a Fit Bottomed Girl. And we are so grateful for everything that our fit booties do for us!